On Thursday, June 21, New York Restoration Project, which has spent more than twenty years transforming open spaces in New York’s under-resourced communities to be safer, healthier, and happier, will be joined by its founder Bette Midler to celebrate the Grand Opening of Essex Street Community Garden with a Summer Solstice Block Party in Cypress Hills, Brooklyn. Generous supporter of NYRP and the Essex Street Community Garden, Michael Kors, will help lead the festivities. 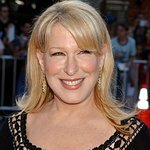 The event – free and open to the public – will include a ribbon cutting-cutting, remarks by Bette Midler, Michael Kors, and NYRP Executive Director Deborah Marton, and will commence with a block party on Fulton Street with food trucks, face painting, live music, and more. The 3,200 square foot garden has been updated and renovated to include an off-grid solar system with low-voltage lighting and a vertical screen for projecting outdoor movies. The site is also able to support a local WiFi network. Eleven raised garden beds have been installed along with an irrigation system, which collects rainwater from the neighboring building’s roof in a large storage tank. The centerpiece of the garden is a large beautiful shade structure and a patio with permeable pavement. Community members grow everything from peppers and tomatoes to eggplant and oregano. A circular planter and seat wall is constructed of stone salvaged from the site. Essex Street Community Garden was established in 1996 by local gardeners and is located within a few short blocks of five different public schools. New York Restoration Project believes nature is a fundamental right of every New Yorker, and we work to manifest that right by partnering with local communities, public agencies, and the private sector on a daily basis. We aspire to expand our footprint and impact in all five boroughs to make a safer, healthier, and happier city.